Series four ran from April 5, 2008 to July 5 2008 and contained thirteen episodes. With Martha having chosen to leave the TARDIS, the Companion role was vacant. However, it doesn't take us long to pick up the new companion in Donna Noble from the 2006 Christmas Special The Runaway Bride. Donna is a fantastic companion for the Doctor to have and if it wasn't for Amy and Rory, she would most likely be my favorite companion (to date) of the modern show. This season would also branch out a tiny bit. Series two gave us the idea for a Doctor-lite episode. This season would also feature a Companion-Lite episode meaning that the "main cast" could film two entirely separate episodes at the same time since neither were much needed for the other episode. This would also be the last full season for David Tennant. When filming The Five Doctors in 1983, the Second Doctor Patrick Troughton gave the Fifth Doctor Peter Davison the advice of doing the job for three seasons then moving on. 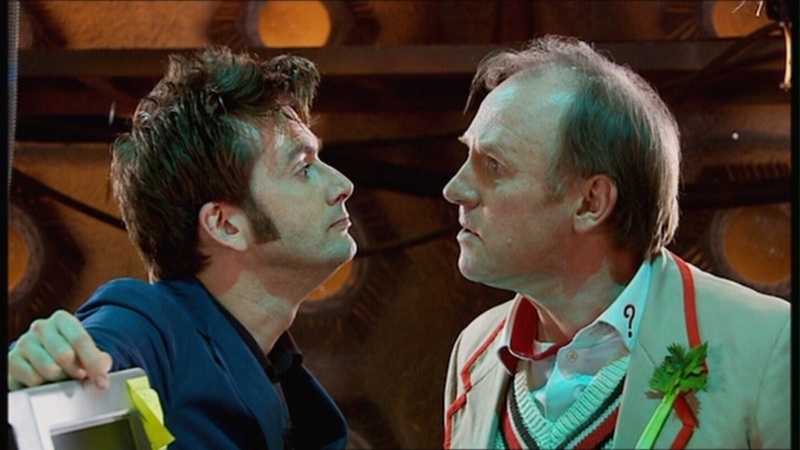 Davison did so and gave that advice to his son-in-law, David Tennant. So those of you who are upset we didn't get more of the Tenth Doctor now know who to ultimately blame. Series Four also has a sort of hidden theme recurring. This one was so subtle that I honestly didn't see it coming the first time around. A few times Donna mentioned the bees were dying out on Earth but that was about all I could see. Upon a second watch, most episodes mention a lost planet or moon somewhere in the storyline...and that's what the season's story is ultimately about; planets and moons are going missing from time and space. Also there's the return of a certain special someone. Immediately following Martha's departure, the Doctor starts to mess about with the control panel and alarms go off. Somehow his TARDIS and a previous TARDIS have merged causing him to come face to face with fifth incarnation (though looking older because of the time differential.) 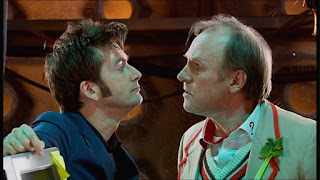 The two argue back and forth a tiny bit before another alarm goes off and the Tenth Doctor does some bizarre functions with the TARDIS to separate them because he remembered seeing himself do it when he was the Fifth Doctor. The Tenth Doctor speaks warmly to the Fifth and bids him farewell as he fades back to his own TARDIS. The Fifth Doctor then reminds the Tenth to turn back on the shields in his final moment. Unfortunately at that time, the TARDIS is struck by something and the Doctor lifts up a life preserver that says "Titanic." While this short does have that one throwaway line which partially explains why the bow of the Titanic would suddenly appear this short is less important as it just is cool. It's always fun to see Doctors meeting each other and this was a nice way to celebrate the Fifth Doctor. It's too bad they haven't done anything for the Sixth or Seventh Doctors. This story recaps the fact that the Titanic's bow has crashed into the side of the TARDIS. The Doctor separates and repairs the TARDIS before landing on the ship only to find out that it's not the actual Titanic. In reality, it is a space ship taking aliens to Earth so they can observer "primitive cultures" (specifically Christmas) and as such made the ship look like the planet's most famous ship for novelty. On board are the Heavenly Host, robotic angels who are programmed to answer any questions asked of them...however they are starting to malfunction at an alarming rate. The Doctor befriends a waitress named Astrid and takes her with him on an excursion to London along with others on the ship including an overweight couple, a very alien looking cyborg, and Mr. Copper, a man who claims to have a degree in Earth but keeps getting everything wrong to comedic effect. While on excursion, the Doctor notices London is deserted and asks the only man there, Wilfred Mott, what has happened. He explained that he and the Queen are about the only people left in London because of the previous two Christmas attacks (The Christmas Invasion and The Runaway Bride). While the Doctor is on the Planet, the Captain of the Titanic sends his crew away but one young man stays with him per protocol. The Doctor and company return to the ship only to find that the Captain has shot the young man, magnetized the hull and large meteors are hurling towards the Titanic. As the meteors hit, the Heavenly Host begin killing people at will on board. The Doctor tries to save people with the TARDIS but notices the blast has sent it into space and it has locked on to Earth for a landing. Together with all the named characters of the story they try to repair the ship's engines only to have most of them die in the process. Eventually the Doctor tricks the Heavenly Host to take him to their leader and they bring him to the bottom of the ship where he meets Max Capricorn, the ex-head of the cruise liner company who plans to ruin the people who outed him from the company by crashing the ship. Astrid sees this and tosses Max into the engines, herself included. 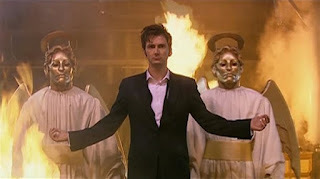 The Heavenly Host then turn to the Doctor as the next authority figure and he has them take him to the bridge where he stops the Titanic from crashing on Buckingham Palace and brings Mr. Copper to Earth where he can live freely. It was neat to see Doctor Who's take on the classic shipwreck trope...however that's about where the good from this episode ends. It's nothing absolutely horrid, it just fairly frequently makes no sense at all. 1. How would the Titanic breach the TARDIS that badly when the interior of the TARDIS is in a different dimension? 2. Meteors are generally rock ...how exactly would magnetizing the hull of the ship cause the rock to rush towards the ship? 3. How come the Heavenly Host sometimes remember they can kill people with their halos and other times just walk? 4. Max Capricorn said he could control the engines from where he was entirely...why was any of the previous necessary when he could have just killed them off where he sat? 5. Why was Max even on board? If the other stuff worked fine without his intervention then why was he even there? 6. Astrid uses a forklift to dump max into the engines and kill him. There was a moment where she could have easily jumped out of the side before it fell and she didn't. Why? UGH. Again it's not Love and Monsters bad but this is easily my least favorite or possibly second least favorite Christmas episode. That being said Mr. Copper is fantastic! He's easily someone I would have loved to have been a companion even if it was only for half a season. It had been two years since her encounter with the Doctor and Donna Noble is fed up with her dull life and her decision not to travel with the Doctor, though she only confides this with her grandfather Wilfred Mott (From Voyage of the Damned.) Donna begins to investigate conspiracy theories in the hopes of meeting the Doctor once again. At the same time, the Doctor and Donna begin investigating Adipose Industries who has created a diet pill where "the fat just walks away".... literally. The pill creates a small alien creature from the fat of the person taking the pill and it walks away towards Adipose Industries. Eventually the pair learn of this plot and just so happen to meet on opposite sides of the director's office. The director explains she was tasked by the Adipose Royal Family to create babies for them as they lost their breeding planet. Since this is against intergalactic law, the Doctor tries and eventually succeeds to stop her. The Royal Family has returned to pick up their children and kill the director in the process to cover their tracks. The Doctor then asks Donna to join him again and she agrees. He drops her car keys off for her mother to collect later and briefly runs into a blonde woman before heading to the TARDIS. The blonde is none other than Rose Tyler who disappears as Donna gets further away and leaves with the Doctor. This episode is mostly harmless. It's got an interesting mystery going on and a fair bit of comedy from both Catherine Tate and David Tennant. The Adipose babies were pretty adorable too. The real shocker moment was the very brief return of Billie Piper as Rose Tyler... but we won't figure out why till much later. Either way this one is just sort of here and helps set up the rest of the season. The Doctor attempts to take Donna to Rome but accidentally lands in Pompeii on the day Mt. Vesuvius is to erupt. They return to the TARDIS only to find that it has been sold away by a local merchant to sculptor Lobus Caecilius. As the Doctor and Donna head to get the TARDIS back, they are watched over by a soothsayer who reports their arrival to her sisterhood. The sisterhood fear the prophesied man with the blue box. The Doctor and Donna confront Caecilius but his daughter who has remarkable ESP starts stating details about their lives. This is interrupted by another man, Lucius Dextrus, who also has some ESP abilities and has ordered a sculpture from Caecilius which resembles circuitry. Intrigued by this, The Doctor and Caecilius' son go to investigate Dextrus house and find many stone circuits that the Doctor recognizes to be part of an energy converter. However, Dextrus discovers them and calls upon a stone creature to kill them. The pair return to the Caecilius home where the large stone creature attacks but is promptly killed as Caecilius' son pours water on the creature. During the confusion, the sisterhood captures Caecilius' daughter. The Doctor and Donna track down the daughter to find that they are being controlled by creatures known as Pyroviles as their home planet of Pyrovilia was lost. They are using Mt. Vesuvius as a base for them to slowly convert humans into their own kind and take over the Earth. The Doctor notes that their energy converter won't actually allow Mt. Vesuvius to erupt and since the destruction of Pompeii is a fixed point in time... it must be the Doctor's intervention that causes it. Both he and Donna enter an escape pod and overload the energy converter causing the mountain to erupt. The Doctor and Donna leave in the TARDIS but Donna begs him to save just one person. He goes back to the Caecilius house and saves their family before leaving Pompeii. If you, like me, have a generalized interest in the destruction of Pompeii then you will probably find this story fairly interesting. If not then...there's... well there's not much here for you. It's interesting to see the Doctor having no choice but to cause a disaster because it just simply has to happen... it's a fixed point in time. This is also the episode that cemented Donna as one of my favorite companions. Not only has she brought up the question of the TARDIS translation matrix and what would happen if she chose to speak the same language as them while the TARDIS is translating...but also she is NOT about to have any of the Doctor's crap. Oh so we're just going to let every single person die in this whole town because this disaster is supposed to happen? Yeah we're NOT doing that. She's just a fantastic addition for David Tennant's Doctor. Also of interest is that two future stars of the show feature here. Lobus Caecilius was played by Peter Capaldi who would become the Twelfth Doctor while the soothsayer following the Doctor and Donna was played by Karen Gillan who would later play companion Amy Pond. The Doctor and Donna land on a snowy planet where they are attacked by a dying Ood in the snow whose eyes turn red. Concerned by this, the pair head to Ood Control on the planet who is responsible for the distribution and sale of Ood across he galaxy. In the past few weeks, Ood have been exhibiting the "red eye syndrome" and have been killing people by using their translation orb to electrocute people. The Doctor and Donna search the complex and discover Ood that have not been processed yet. These natural Ood actually have a secondary brain that comes out of their mouth which they must hold and maintains their individuality. Angry that Ood Control has been lobotomizing Ood to become slaves, the Doctor plans to confront the guy in charge, Klineman Halpen. However at the same time there is a mass Ood revolt. Amidst the chaos, the Ood see the Doctor and Donna as a friend and allow them to go freely after Halpen who just entered a building. Inside they find a large disembodied brain who is the collective consciousness of the Ood. This third brain has been controlled by the company to subdue the Ood even more, but a secret operative has found his way into the corporation and has been lowering the mechanisms surrounding the brain and allowing the Ood to "go crazy." As Halpen goes to destroy the brain he suddenly transforms into an Ood himself; his own personal slave had been slowly poisoning him to do so over the last few years. The Doctor frees the third brain and the Ood are allowed to return to their home world in peace. However, the lead Ood informs the Doctor that his song is almost over. This is a pretty decent episode. Nothing grand or spectacular but it gets the job done. I'm not sure what it is about Ood and being possessed or acting crazy that the show loves so much. 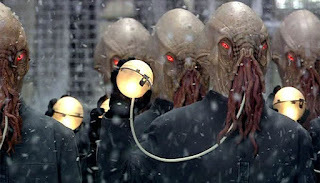 Yes it is always interesting to see something completely subservient losing it's cool, but out of the five times we see Ood, three of them cause the Ood to go crazy. The reveal of the natural Ood was nice and the transformation of Halpen was kind of chilling. It's also interesting to note that they mention the planet Oodsphere is near the planet Sensphere. This is a call back to the William Hartnell adventure The Sensorites and tries to cover up the fact that the Ood are basically re-worked Sensorites. We also get the first hint that the 10th Doctor's demise is coming up soon. This would happen far too often in the specials to come but for now it was a neat little hint. All in all not bad. Martha, the Doctor's previous companion, calls the Doctor and asks him to come back to Earth and help. She is now working with UNIT who are investigating ATMOS, a company producing a GPS and emissions containment addition to cars across the world. The day before, 30 some people were killed simultaneously around the world, all of which had ATMOS in their car. To top things off, the tech used in ATMOS is not normal tech and is most likely alien. 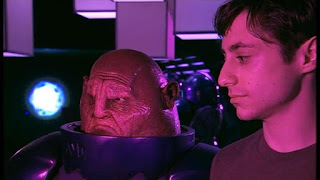 The Doctor travels to the private school of ATMOS inventor Luke Rattigan and discovers that the tech was actually created by the alien warrior race known as the Sontarans. The Sontarans however are not invading Earth per normal protocol. They have decided to take control using ATMOS, mind control and human clones. They send two mind controlled humans to capture and clone Martha to provide a mole in UNIT. 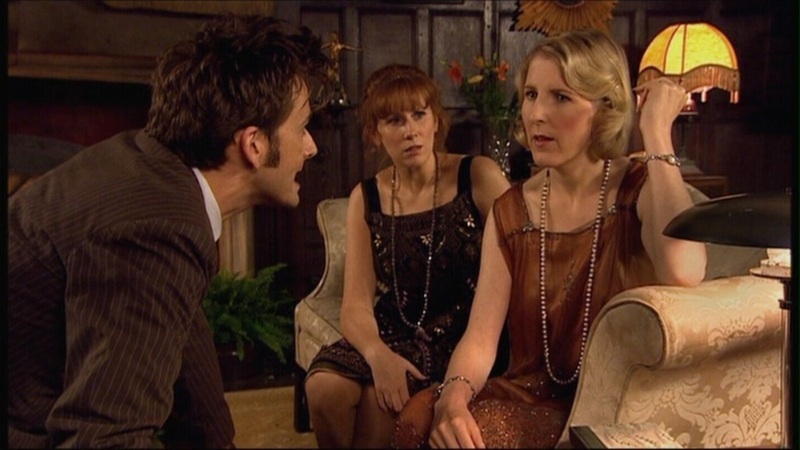 Meanwhile, Donna has gone to tell her grandfather, Wilfred, about the Doctor on Martha's suggestion. The Doctor meets up with her and analyzes the ATMOS attached to Donna's car and discovers that ATMOS has a second function, the emission of poisonous gas. Wilfred attempts to take the car off the road but becomes trapped inside when the Sontarans activate all of ATMOS across the world to emit it's poisonous gas. Donna's mom frees Wilfred from the car by smashing the window and the Doctor orders them inside their house while calling UNIT to not engage directly with the Sontarans. The Doctor then sends Donna to the TARDIS for safety but once she is on board, it is teleported by the Sontarans to their ship. The Doctor speaks with the Sontaran commander and learns that the Sontaran's war with the Rutans is not going well and they plan to turn Earth into a Sontaran breeding planet. With the TARDIS missing, the Doctor sends Donna cryptic messages while talking with the Sontarans allowing her to reactivate the teleportation pods on the Sontaran ship to bring herself and the TARDIS back with her. The Doctor then discovers the real Martha and frees her from the cloning device. The trio head to Rattigan's school where he is devastated at the horror he helped cause. The Doctor then creates an atmospheric converter from the tech at Rattigan's and harmlessly burns off the poison gas saving earth. The Doctor then teleports to the Sontaran ship offering them a chance to withdraw but they will not. Rattigan then uses the teleporter to change places with the Doctor and blow up the ship, himself along with them. The Doctor and Donna say goodbye to Martha in the TARDIS but suddenly the doors slam shut and the three are off to an unknown destination. I feel as though I'm repeating myself a lot here by saying that this was a decent and solid episode. There was a good threat and a good mystery going on. That's just sort of the thing with this season. The production team had hit a sort of stride with this season where most of the episodes were just good and solid. There aren't really that many things bad but there are only a couple of outstanding ones at the same time. Same is true of this two parter. It's good, but it's not a standout either. They did up the humor a little bit here with the Doctor thinking that Donna is leaving him and giving a big old speech when she's just popping down to see her family and coming back. There is also a particularly humorous scene where the Doctor is wearing a gas mask because of the poison and asks a soldier nearby "are you my mommy?" It was neat to see Martha back, though her return would have probably been more surprising if she had come back in another season or two since we only lost her last season...however she does well here once again. All in all just a set of pretty good episodes. The TARDIS deposits the Doctor, Donna, and Martha on the planet Messaline where they are immediately met by a group of human soldiers who force the Doctor's hand into a progenation machine. This machine uses the Doctor's DNA to produce a female soldier based on his genetic structure. For all intents and purposes she is the Doctor's daughter. Soon after, the soldiers are attacked by the other race on the planet, the fish-like Hath. The female soldier causes an explosion that barricades the corridor they are in, however Martha is trapped on the Hath side. Martha attends to a wounded Hath and gains their trust while the Doctor and Donna go to meet with the human commander, General Cobb. Along the way, Donna names the female soldier Jenny as she is a GENeticic anomolY. While with General Cobb, the Doctor learns that the two races were meant to inhabit the planet together but at some point a disagreement over "the source" happened and their races have been at war for generations, using the progenation machine to create more and more troops almost hourly. Simultaneously, the Doctor and Martha discover the location of the source on a map and the two races prepare for war over the source. The Doctor, Donna, and Jenny are imprisoned for refusing to fight but they break free due to Jenny's charm and find a faster route to the source. Donna asks if Jenny will come with them on the TARDIS but the Doctor is reluctant as she reminds him too much of the family and friends he lost in the Time War. Eventually he warms up to her through their adventure in the corridors to find the source and sees that she truly is his daughter and a good example of a Time Lord. Meanwhile, Martha and a lone Hath begin traveling the faster route on the planet's surface, however the Hath sacrifices himself to save Martha from quicksand. She then finds her way alone to the building that the source is located in where she meets with the others. While there they learn that the source is actually a terraforming machine to make the planet hospitable, and the disagreement was the death of the commanding officer. They also learn that it had been only seven days since this had occurred but their constant use of the machines gave too many generations to remember their recent history. Eventually both sides meet at the source, but the Doctor calls the war over as he breaks open the terraforming machine to do it's job and provide them with a place to life. General Cobb however doesn't like this and attempts to shoot the Doctor. Jenny jumps in the way and is killed. Grieving, the Doctor picks up Cobb's gun but refuses to shoot him and informs the humans and Hath that they should live in a world of peace. The Doctor and Donna return Martha home as the soldiers prepare to give Jenny a proper burial. However she does have just enough Time Lord in her to revive. Jenny commandeers a ship and goes off on her own adventures. Ok let's start this off on a positive. Georgia Moffet's performance as Jenny was absolutely brilliant. She brought life to this role and was an excellent addition to the episode. I truly wish she would make a return or had joined the TARDIS crew for at least one more episode. Sadly we most likely will never get that and that's ok..she left behind a memorable and wonderful performance. It's also neat that she is actually the Fifth Doctor, Peter Davison's actual daughter. So the Doctor's daughter is actually playing the Doctor's Daughter! That being said...the rest of this episode is an ungodly mess. There is WAY too much information being shoved in to actually grip on to most of it. We don't really care about the humans or the Hath because we don't really get time to invest in their struggle. I know science fiction can do a lot of strange things. I can buy a show where a time traveling alien saves people using only his wits most of the time...however even I can't buy that it only took 7 days and this machine to make them forget all about the source. It's just a little too soon. Maybe if they'd said a month? However my biggest issue with this episode is the single line "I never would." 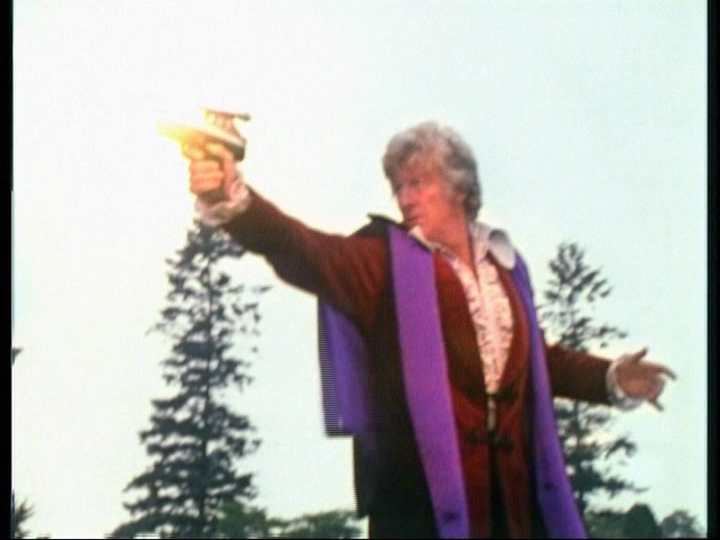 The Doctor is hurting over the death of his daughter and points the gun at the man's head then says "I never would." Now I realize the message they were going for and certainly you don't want your "moral authority" to just outright kill a man in that particular situation...but saying he never would is an outright lie. This is the man who almost bludgeoned a caveman to death (Hartnell), gunned down Ogrons who weren't even shooting at him at the time (Pertwee), intentionally killed a man with cyanide and pickpocketed dynamite into a mentally disturbed man's pocket (Tom Baker), used a gun to kill Cybermen (Colin Baker), organized the genocide of two races in the same season (McCoy), tortured a Dalek that couldn't fight back then attempted to kill said Dalek even after he was subdued (Eccleston), and sentenced the Family of Blood to eternal life in torment (Tennant.) Yeaaaaah he's certainly the "man who never would." Watch this for Jenny, but don't expect much else. The Doctor and Donna arrive at a dinner party in 1926 and discover one of the guests there is Agatha Christie. The Doctor then realizes that this is the day where she inexplicably disappears for ten days. 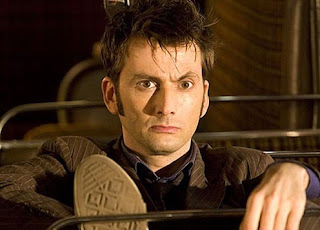 When one of the guests is killed, the Doctor, Agatha, and Donna begin to investigate. The Doctor discovers some strange fluid that turns out to be morphic residue. The killer is an alien in disguise. 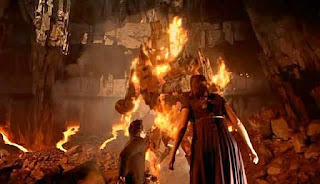 The Doctor and Agatha begin questioning the guests as Donna searches the rooms and is attacked by a giant wasp who disappears quickly afterwards and then kills the housekeeper before returning to human form. When the three regroup, the Doctor is poisoned by cyanide but is able to detox his body with the help of Donna. This gives him an idea to add pepper to the evening's dinner to use as an insecticide. It works but the lights go out and the alien escapes once again. When the lights return, the lady of the house's necklace is missing and her son has been murdered. The three assemble the guests together to talk over what they have discovered/theorized and Agatha unveils one of the guests to be "The Unicorn" a thief who stole the lady's necklace. Then the Doctor deduces that when the lady of the house had shut herself away for malaria some years ago it was actually due to a pregnancy and she had become pregnant from another alien in human form who had given her the necklace. He then reveals one of the guests to be her son and the necklace worked as a psychic link between mother and child. The son having only recently learned of his power, had absorbed the knowledge of Agatha Christie's books from his mother reading them while wearing the necklace. This is what caused him to kill in the way he did. He then transforms into the giant wasp and attempt to kill everyone but Agatha takes the necklace and makes a run for it. Eventually they end up near a lake and the wasp has created a psychic link with Agatha. Donna tosses the necklace into the lake causing the wasp to go after it and drown. The sudden psychic link and termination of that link knocks out Agatha and is what gave her the reported amnesia after her disappearance. While she regains consciousness and the Doctor drops her off at her eventual destination 10 days in the future. For me this one is absolutely fantastic. However it almost seems like it was an episode designed for me. If you don't like it near as much as I do, I completely understand. I grew up watching Poirot mysteries on PBS with my mother. These sort of murder mysteries of Agatha Christie's I am very familiar with so seeing this episode play on those themes was just a real treat! Also the part where the Doctor has been poisoned and is trying to get Donna to understand what he needs is absolutely hilarious! All in all a superb episode worth watching, especially if you like murder mysteries. The Doctor and Donna land on a book repository planet simply known as The Library because the Doctor received a summons on his psychic paper. However the planet appears deserted though the computer claims there to be millions of lifeforms on the planet. The pair are then warned by an information robot with a human face to beware the shadows. Just then the lights start flickering as shadows start to move towards them. 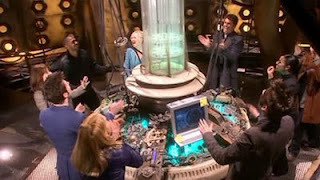 They run and find a floating security camera which reacts with pain when the Doctor uses his sonic screwdriver on it. The Doctor is then told by another information robot that the library had sealed itself but that it has now been breached. Next, a team of explorers lead by archeologist River Song appear. Among those with the group is Strackman Lux whose grandfather build the Library. The expedition is there to find out why the Library sealed itself 100 years prior and why it keeps saying 4000 some people saved but no survivors. River recognizes the Doctor and has a TARDIS shaped journal with her, though the Doctor has no idea who she is. When she realizes he hasn't met her yet she refuses to reveal more information about herself, only that she had sent the summons and that she had a more advanced version of his sonic screwdriver. The Doctor tries to gain more information from the library's computer system but it appears to be connected to the mind of a young girl living in 21st century Britain. 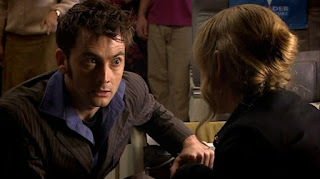 The Doctor's probing causes the child to become distressed and books begin flying off shelves as the events of the library are shown on the girl's TV. The girl's doctor, Doctor Moon appears to console her and let her know her imagination is real and those people need to be saved. In the Library, the Doctor realizes that the shadows are full of Vashta Nerada, microscopic piranhas of the air who can strip meat from bone instantaneously if you step into their shadows. One of the crew, Miss Evangelista, becomes distracted by an opening door and is eaten by the Vashta Nerada, her voice still calling out from a communication device that holds on to the person's consciousness for a few minutes. The Doctor then uses the Library's teleporter to send Donna back to the TARDIS for safety but something goes wrong and she completely disappears. Suddenly another of the crew notices they have two shadows, the Vashta Nerada have taken ahold of him and eventually eat him as well. They then swarm inside the space suit and begin chasing the others down. As they run, the Doctor is horrified to see Donna's face on an information robot proclaiming that Donna Noble has left the Library... Donna Noble has been saved. The Doctor, River, and other members of the team are on the run but more fall prey to the Vashta Nerada and become skeletons in swarming space suits as well. Eventually Lux reveals that the Library was originally created to house the consciousness of his aunt who had a terminal illness as a child. It was built to house her mind with all the books of humanity for eternity so she could live on. The Doctor then realizes that the girl, CAL, had seen the Vashta Nerada and saved all these people by uploading them into the hard drive and has been slowly going crazy and uncontrollable due to the amount of minds floating around. 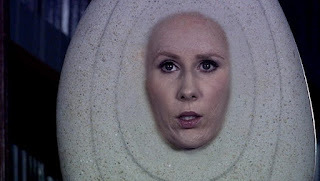 Meanwhile within the hard drive, Donna Noble wakes up and resumes a normal life, completely forgetting her adventures with the Doctor due to the effects of the simulation. However, a modified version of Miss Evangelista's consciousness with a grotesque face brings her back to reality causing the simulation to begin self-destructing. Eventually, the Doctor, River, and Lux descend to the core of the planet where the Doctor speaks with the Vashta Nerada who have learned to use the space suit communicators. They explain that their forests were cut down to make the books for the Library and they hatched from these books. They allow the Doctor one day to release the people from the hard drive and leave their planet. The Doctor realizes the only way to stop the computer from malfunctioning is to route the extra minds through his own body, killing him in the process but saving all those people from their digital simulation. River knocks out the Doctor and handcuffs him to a pole. She insists to die instead as his death now would mean they would have never met. She links up to the computer and sacrifices her life allowing everyone to emerge on the planet from their digital simulation. Lux begins sending people to rescue ships via the teleporter as the Doctor and Donna place River's journal and sonic screwdriver in the library. However the Doctor is still confused by the screwdriver and upon examining it, he finds a secondary communicator that still housed her consciousness. The Doctor rushes to CAL and uploads her mind into the mainframe. While inside, River is greeted by CAL and Doctor Moon who explain that the computer is a safe and good place, and that the people who died during the adventure were uploaded as well for company. This is honestly the crowning jewel of Series Four. While some may disagree and say the next episode is better.... I'll get to that when I get to that episode. This two parter hit a home run and hit it hard. 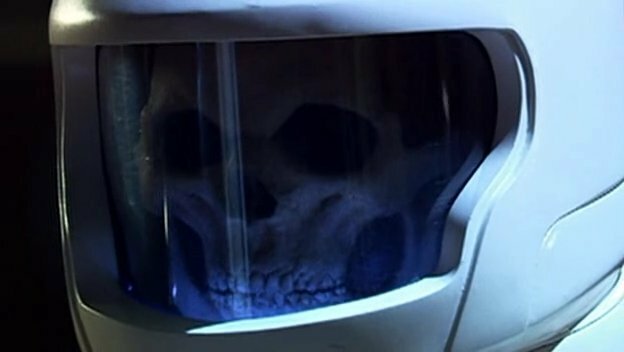 The Vastha Nerada were terrifying, the two shadows and the skeleton space suits were an excellently creepy visual. The story was great, the idea that a child's mind would go through so much pain and anguish to help save thousands of people is just brilliant. Also, though she means more after seeing later seasons, we are introduced to one of the more complex and wonderful recurring characters in Doctor Who. The mystery of who this woman actually is doesn't get answered here but it makes for a good episode to have someone know the Doctor very well but he doesn't know her yet. If I had to say anything negative here it's that the portions where Donna is inside the simulation really feel like filler. The episodes just give off the impression that there was enough material here for 1 1/2 episodes worth of stuff. It was too much for a single episode but not enough for two so they just tossed in some filler. However aside from the filler, everything else was fantastic. It's a must-watch! The Doctor and Donna have decided to take a vacation the planet Midnight. The Doctor decides to go on an excursion tour with a group of strangers to see a waterfall on the planet while Donna stays by the pool. After ruining the "entertainment" on board the flight, the Doctor gets time to speak with each of the members on board and everyone is having a good time until a crystal landslide takes them out of their normal path and then the ship just stops completely though the engines are fine. The Driver sends out a distress call and looks out the window to see something moving...however the planet is completely uninhabited so what could possibly be moving? Soon something begins knocking on the ship's hull and then begins to respond when passengers knock as well. One of the passengers, Sky, begins cowering and screaming as the lights fail and the cockpit is torn from the shuttle. Sky then begins to behave oddly as she starts to repeat everything that everyone says non-stop. As the passengers discuss what is happening, Sky's repetitions become shorter until she is speaking at the exact same time as the other people no matter what they say. The Doctor tries to take control of the situation but the passengers become suspicious of him when Sky being to only copy his words. Eventually she begins to take over the conversation and the Doctor begins to sit awkwardly and repeat what Sky is saying, unable to say anything else. The Doctor's repetition begins to slow down and the passengers intend to throw him out. However when Sky says something out of character that the Doctor had said earlier, the stewardess grabs sky and pulls her out into the vaccuum of the planet killing them both and releasing the Doctor from whatever had a hold on him. A rescue ship comes though the Doctor never quite figures out what that creature was. Most people absolutely adore this story and state it as one of the greatest episodes in the show's history. I don't see it. I honestly really dislike this episode. While the atmosphere is creepy I just personally can't stand scenes where people continually talk over each other with nonstop disjointed noise...and this has a solid 20 minutes of just that. I know what they were going for but hearing voices over top of voices with delayed voices all at the same time is just far too irritating for me to enjoy. You may like this one but I certainly don't. However, it was good to see David Troughton again in Doctor Who! David Troughton is, of course, the son of Second Doctor Patrick Troughton, and had appeared as extras in two Second Doctor stories as well as King Peladon in the Third Doctor story, The Curse of Peladon. It's also noteworthy to point out that at one point on the ship, Rose Tyler appears on the TV screen shouting "Doctor!" before vanishing. This will sort of be explained later. While the Doctor and Donna are visiting a planet, a fortune teller convinces Donna to come in for a reading. She asks Donna to think of the moment that lead her to meeting the Doctor. This moment was when she and her mother were arguing over which way to turn the car; left would lead her to the temp job at H C Clement which she chose, and right would lead her to work for a friend of her mother's. The fortune teller then convinces her to think about what would happen if she turned right. Donna turns right and an insect attaches itself to her back creating an alternate reality around this new decision where she never met the Doctor. As such, the Doctor dies during the events of The Runaway Bride causing him to not be there to save Earth from various disasters. Sarah Jane Smith and Martha Jones die during the events of Smith and Jones, London is destroyed by the Titanic smashing into it and turning England into a third-world country, sixty million Americans die from breeding the Adipose in Partners in Crime, and the Torthwood team is killed defeating the Sontaran invasion from The Poison Sky. Donna and her family escape the Titanic tragedy thanks to the appearance of Rose Tyler who convinces Donna to take a Christmas vacation. As such Londoners are displaced throughout the country in cramped living conditions and under martial law. Rose appears to her once again to ask for Donna's help but when she says Donna will die by helping, she refuses. Three weeks later, Donna and her grandfather are stargazing when they notice the stars are going out. 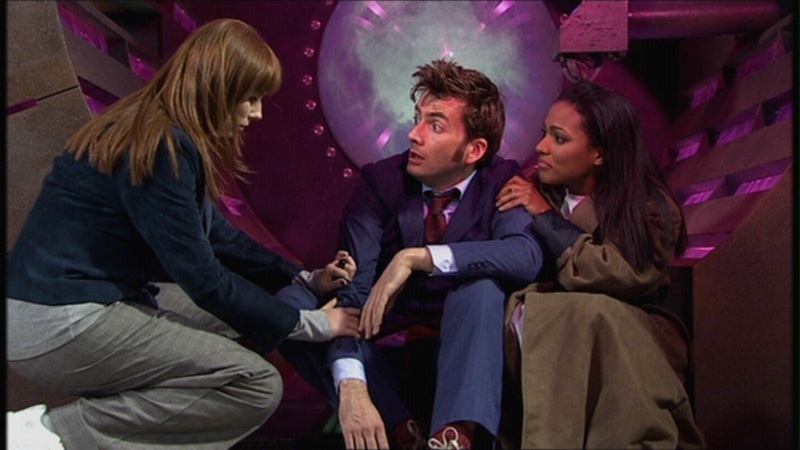 This convinces Donna to help as Rose appears a third time and takes her to UNIT and a dying TARDIS that they have modified into a time device to use. Rose tells her that she has been able to enter this alternate reality because the walls of reality are falling and the only one who can save them is the Doctor. Donna needs to travel back to the day she turned right and force her to turn left like she originally had. Donna travels back in time but is too far away to confront herself directly, so she chooses to fall in front of a moving truck to cause a traffic jam. This forces her past self to turn left. Rose appears to her and whispers something as that reality ends. The bug on her back dies from this sudden fixing of reality and the Doctor finds Donna. She remembers Rose's last words... Bad Wolf. The Doctor realizes who she met and rushes off to the TARDIS proclaiming that the universe is at stake. Yet another Doctor-lite episode and yet another triumph! I personally love alternate reality stories where everything has gone wrong because of something small or because of someone. It was a perfectly grim story that really hit home when it needed to. The portion where the Italians were being sent off to "labor camps" with Wilfred understanding what that actually meant was particularly powerful. It was great to see Billie Piper back for more than just a brief cameo. This episode perfectly leads us directly into this season's finale. The Doctor and Donna travel to Earth after Rose's warning about reality falling apart to find that it has been completely removed from where it should be moments after they land. The Doctor travels to the Shadow Proclamation, the universal police, to investigate. There they discover that Earth and the other twenty six missing worlds throughout time automatically reorganize into a particular pattern when placed near each other for some reason. Without a clue where these planets are, Donna mentions that the bees had gone missing from Earth. Using this knowledge, the Doctor searches for a signal that bees can easily detect and find the signal coming from an inter-universal rift but the planets still aren't there. On Earth, a group of Daleks led by their creator Davros and the Supreme Dalek begin attacking and defeating humanity's forces. Davros, who was thought destroyed in the Time War was actually saved by Dalek Caan's emergency temporal shift at the end of Evolution of the Daleks. The Doctor's former colleagues on earth hide in various places and are figuring out what to do. Captain Jack Harkness takes refuge in Torchwood, Martha Jones uses a teleporting device to escape UNIT New York HQ with the "Osterhagen Key," a device designed to destroy planet Earth if the suffering of mankind is too great. Sarah Jane Smith is staying at home with her son and super computer Mr. Smith. Meanwhile, Rose Tyler has managed to cross realities into the right one and tracks down Donna's mother and grandfather. 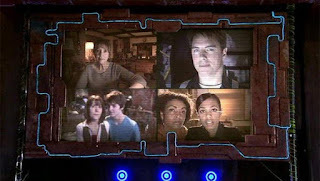 The group are contacted by former prime minister Harriet Jones (The Christmas Invasion) on a special secret network developed by Mr. Copper (Voyage of the Damned) for the Doctor's companions and colleagues in case of an emergency. Together they use the network routed through Harriet Jones house along with Mr. Smith and Torchwood's use of the rift to send out a signal to the Doctor. The Doctor and the Daleks receive the message. The Daleks are sent to kill Harriet Jones, but not before the Doctor is able to pinpoint the origin as a pocket universe created around the planets that is de-synched from time. The Doctor speaks to his companions but Davros hijacks the transmission and taunts the Doctor about his victory. The Doctor then lands the TARDIS on the same street as Rose. As the pair run to meet each other, a Dalek shoots the Doctor. Jack Harkness appears via teleporter and destroys the Dalek before helping Rose drag the Doctor into the TARDIS where he begins to regenerate. The Doctor uses his regeneration energy to heal his body but then siphons off the excess energy that would have caused him to change into the severed hand he obtained from Jack during the events of Utopia. The TARDIS is then teleported to the Dalek ship where the Doctor, Rose, and Jack exit. Jack is "killed" on sight (though the Daleks do not know he can't die.) 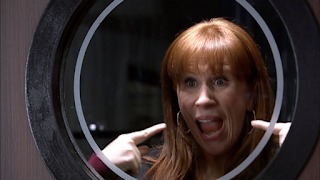 Donna is somehow trapped on board the TARDIS as it is sent to be destroyed. As the TARDIS begins to fail, she touches the canister containing the Doctor's hand, and it uses her DNA imprint to create a second Tenth Doctor who saves the TARDIS from destruction. On earth, Sarah Jane Smith is saved from the Daleks by the appearance of Mickey Smith and Jackie Tyler from the alternate universe. The three "surrender" and are taken to the mothership where they sneak away and meet with Jack. Meanwhile, Martha heads to Nuremberg to activate the Osterhagen Key. The Doctor and Rose are taken to Davros where he explains that the planets create a compression field that can cause atoms across every reality to be destroyed thus removing all reality from existence. However, he is interrupted by Jack and Sarah Jane threatening to blow up the Dalek ship from the engine room. He is further interrupted by Martha planning to blow up Earth to stop his plan. Unfortunately the Supreme Dalek teleports all of them to Davros. As Davros starts up the "reality bomb," the TARDIS appears with the other Doctor and Donna who attempt to stop Davros. Davros shoots them with electricity which trigger's Donna's part of the DNA conversion and filling her brain with Time Lord knowledge. Together, the original Doctor, the duplicate Doctor, and the Time Lord Donna stop the reality bomb and send all the planets back to their place of origin. However the console is damaged before Earth can be sent back. The duplicate Doctor then turns the Dalek's machines on themselves and cause their mass genocide. With help from K-9, Mr. Smith, and Torchwood, the TARDIS crew are able to tow Earth back to it's original spot. Sarah Jane leaves to be with her son, Martha and Mickey leave to be with Jack, and the Doctor takes Rose and Jackie back to their alternate universe leaving the second Doctor there with them as he is part human and can grow old with Rose. It is then that Donna's head begins to hurt as the Time Lord knowledge is killing her and is too much for her human brain. In order to save her, he wipes her mind clean of ever knowing him and returns her to her mother and grandfather. Wilfred swears that he will always remember the Doctor for his granddaughter's sake as the Time Lord flies off alone. I kind of said this before in the Sontaran Strategem section. Russel T. Davies and the rest of the crew had really hit a stride. Everything was of a pretty standard quality level of being pretty good if not great. Even the parts I criticized may not actually bother the majority of people. It's just a really solid season. It's also helped by the fact that Donna is, in my opinion, the best of Tennant's companions. Her added humor and dynamic with the Doctor was a change up to the romance-laden seasons before and really felt like the kind of companions the Doctor used to have in the classic show. All in all a great season with a great closer. Please join me again as we continue to examine all of Doctor Who.